Bob Fisher is credited for conceiving and producing some of the first "airtight" welded steel plate stoves. He was raised in Oregon where he tried his hand at many jobs, including logging, farming and welding. It was his welding skills that finally set the stage for his invention. "I just drew it up and built it - I knew in my mind exactly how it would work, and sure enough, when I got through welding those pieces of iron together, it did work! "We sealed up the old fireplace except for a 6 inch opening in the chimney for a flue-then I put that first stove in place. It heated the entire A-frame, and we had 100%, flame control. The stove was just a little slower to react than a gas or oil furnace, but we could turn the wood flame up or down anytime we wanted . . . and we could cook right on top of it! " Soon all his friends and neighbors were demanding Fisher Stoves. 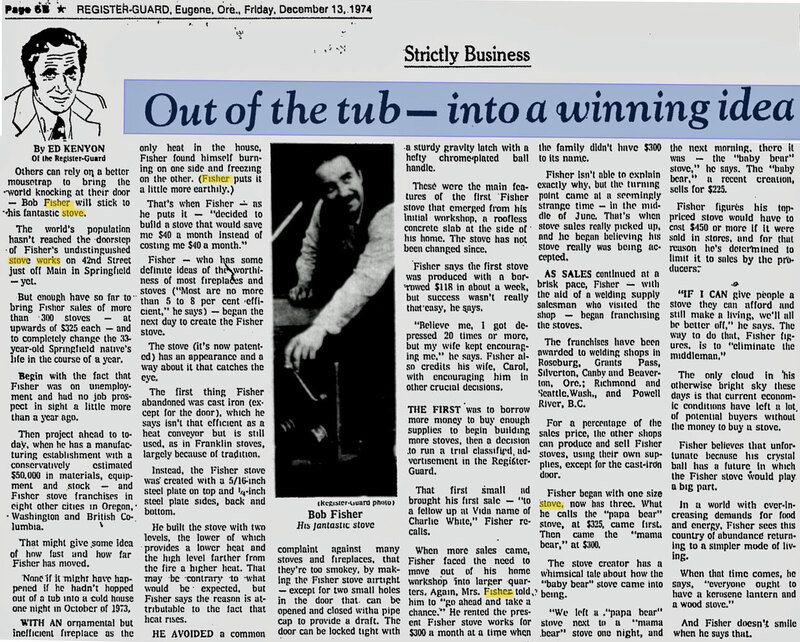 Bob turned to subcontracting in order to meet demand and then to franchises, which helped create over 1/2 million of the original stove models. The stoves were built from heavy 1/4" steel plate and 5/16" thick steel plate top. They used doors made of cast iron. 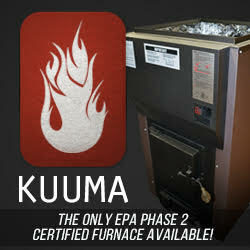 The "Bear Series" single door stoves have a 6 inch flue and were named "Papa Bear", having two air intakes, logs to 30". "Mama Bear", having two air intakes, logs to 24" and "Baby Bear", having one air intake, logs to 18". The "Fireplace Series" double door stoves have a 8 inch flue and were named "Grandpa bear", which measures 29 1/2 " across the top plate. And the "Grandma Bear", is 25 1/2" across the top plate. All stoves made to go into a hearth or fireplace were called "Inserts". They were later available with glass doors. Freestanding Pedestal type stoves were the "Honey Bear", and the Mobile Home approved "Goldilocks". 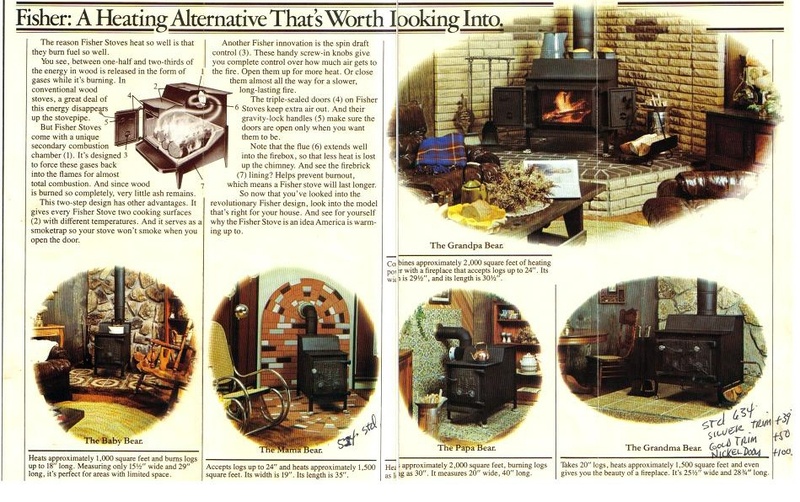 The "Coal Bear" was the coal burning stove that featured reversible grates. The largest model "XL" had two doors and a 10 inch flue capable of heating up to 3000 square feet. 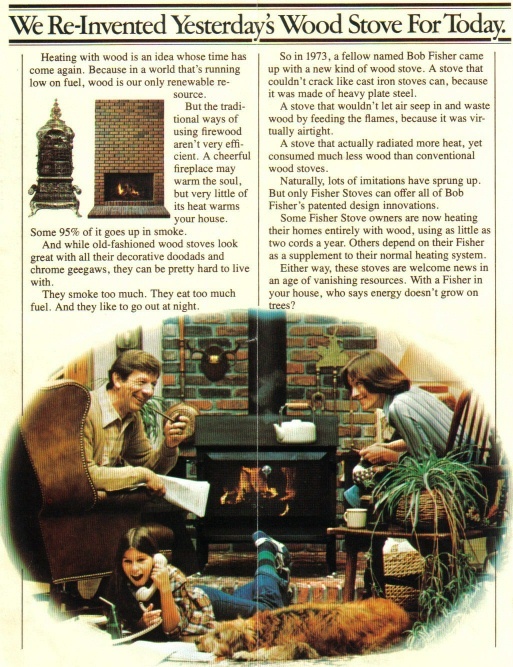 As stove technology improved, the Fisher stoves fell out of favor and the company greatly slowed production by the mid-80's. A few isolated franchises remained, but no designs were ever produced which met the EPA standards in the US. As of this writing, Fisher stoves are still available in New Zealand. The newer stoves look relatively similar to the original models except for the addition of a glass door and brass trim.